Back in the summer of 2001, there was this newfangled set of D&D rules called 3rd Edition (3E). I picked up the rules when they came out in 2000 and decided to run a test game with a few friends to see how it played. I flipped through my scattered notes and found a setting that I worked with back in college and abandoned for reasons which will become clear in another post on the setting. I had a sketch of the main street of an outpost on the eastern tip of the human kingdom (Arket) wedged between the dwarven mountains and the elven wood called Adris. Three roads and a river led out of town, and I had a vague idea of where they ended up. I had a couple of bars, a keep, bad things happening to a merchant named Johnson, a temple of Tyr, and a cave where Set's cultists set up shop. Plot hooks galore. Perfect. Let's do this thing. I wanted it to be casual. We were all busy people, so we scheduled around life as much as possible and made do when people couldn't make it. I wanted it to be engaging, so I took a page from previous games and kept throwing plot hooks at the PCs to see what they'd pick up and run with. I wanted it to be epic, so I started giving them prophecies and put them on the path of finding the Cubes. Most of all, I wanted it to be fun. Five years later, the characters had advanced from 1st to 16th level. We tried a game with three infants in attendance. Yes, 3 babies came into the lives of 5 members of the group within 2 months. That was a little much to juggle, and the distraction of 3 sets of new parents dealing with constant interruptions wasn't quite as fun as it could have been, so I chose to be Dad and put my Gamer self on a shelf for a while. Five years after that, here I am blowing the dust off the game and picking up right where we left off because the story needs to resolve. Exploration. Possession. Discovery. The restoration of old divinity and carrying the world forward to new heights. The realization that the planet is part of a larger galactic power structure and that plots are afoot on that level. Power, and combining flavors of power in new ways. Politics. Prophecy. War. Peace. Intrigue. Cults. Secrets. Meetings of the minds. Letting the self be tricked by false promises. But mostly it's about the members of The Bickering Eight coming together and doing awesome things despite their differences. The theme of personal transformation took center stage in the character development realm. In some cases the transformation manifests in a very literal way, like Adril beating up dragons to distill their giblets into a potion that he drinks to actually become a dragon. In other cases the characters figure out what they want to be when they grow up, like Asalia's move from Wiz/Monk/Psion to more purely Psionic pursuits. In still other cases the character unmasks a Cosmic Truth but still needs to maintain the charade for the masses, like Thorolf coming to grips with the fact that Odin is simply a mask that Monad wears. Or it can be as simple as finding your niche and enjoying contentment, like Pandora rising above her self-doubt and taking on the role of Party Mom. Each character aligns with one of the old gods through their particular Cube (see below), and each character embodies an aspect of that god. Take Wulfgar who aligns with Aberroc, the craftsman. Wulfgar learned metalworking at a very young age in his clanhold under the mountains, but he took it to new heights with the item creation feats he learned while studying wizardry, and now he's madly creating useful items in the party's downtime. They've found 6 cubes so far. 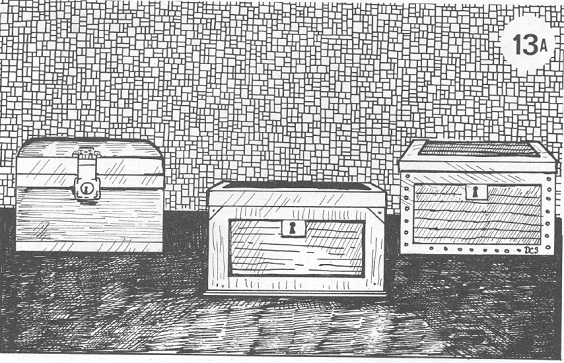 As for what the cubes do, I wrote up an overview over on Stack Exchange's RPG site which should give you an idea of how the party combines their powers to create some spectacular effects. Nutshell: each cube has a keyword that the party can riff on. For example, the Red Cube represents Fire, so anything related to Fire (or heat or light or consumption or dryness or even agitation) works when using the power of the Red Cube. If the player can justify a power to me, it happens. Sometimes it's not quite what they expected, but that's the magic of using artifacts. The cubes fit together in only one way with everything attaching to the Purple Cube, so that means only 7 cubes fit together in a giant 3-D plus sign shape. Nobody is quite sure if there's supposed to be an 8th cube for Monad stuck on in a non-symmetric way or what. Time will tell. I'm planning another post with a rough game timeline that touches on adventure selection with a brief overview of each, but suffice to say that I've used published adventures from previous editions, downloadable adventures, and pure home-grown adventures. The first adventure I used was the official D&D site's first available adventure PDF for 3E: The Burning Plague. 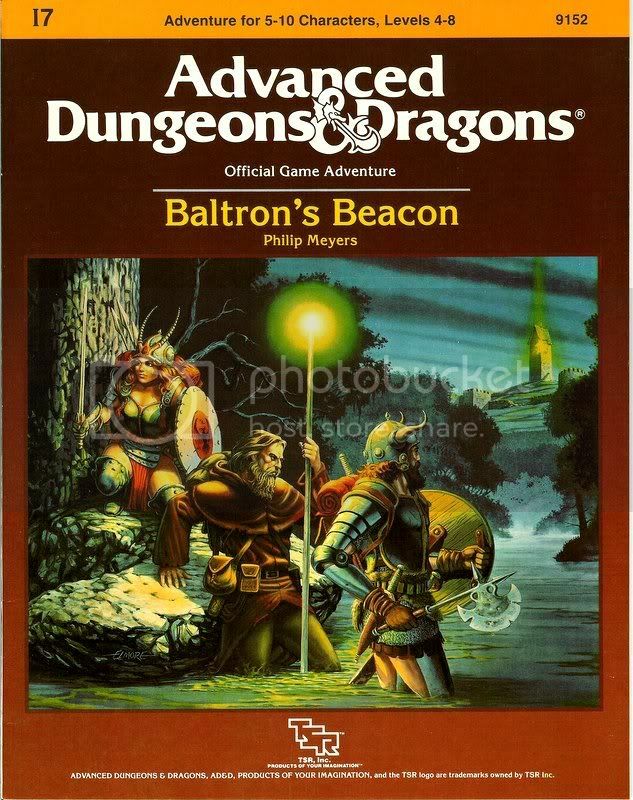 Other canned adventures included The Tower of Deception, The Assassin's Knot (L2), and Baltron's Beacon (I7). I took every adventure and retooled it to hook into the story and the game world somehow. In the Burning Plague, the party let the goblins escape with their purloined silver. Later a group of goblin wizards came raiding the Mage's Guild in Adris, and each one had a silver dagger. Coincidence? I had already introduced the concept of Black Flame with an elite group of Orc Cleric/Monks known as the Burning Fist. Tweaking the Black Flame written into Baltron's Beacon to make the two consistent with each other was well worth the effort. Some of the home-grown adventures rocked. The Bickering Eight got a little cocky and bored, so they decided to teleport into the headquarters of a goblin army numbering 6,000 troops. The goblins brought their Worg Riders, Archers and Wizard Corps to bear in about 2 rounds, so they teleported away at the start of round 5. In 4 rounds they had taken apart most of the Priests of Maglubiet, mowed down a few wizards, killed a few dozen goblin troops, and had a total of around 6 hit points remaining across the 5 of them. We all laughed long and hard about the sheer ballsiness of that stunt.